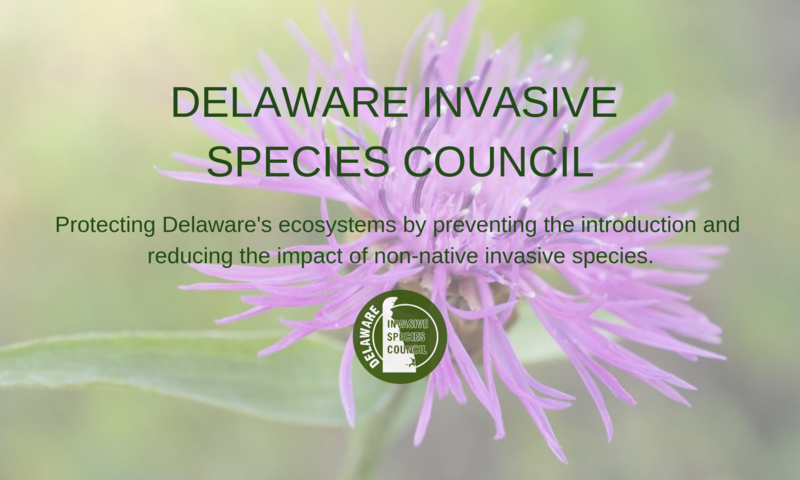 Delaware Invasive Species Council, Inc. – Page 3 – Protecting Delaware's ecosystems by preventing the introduction and reducing the impact of non-native invasive species. Now that we’ve shaken off the last of winter, people are turning their sights towards planting their gardens! 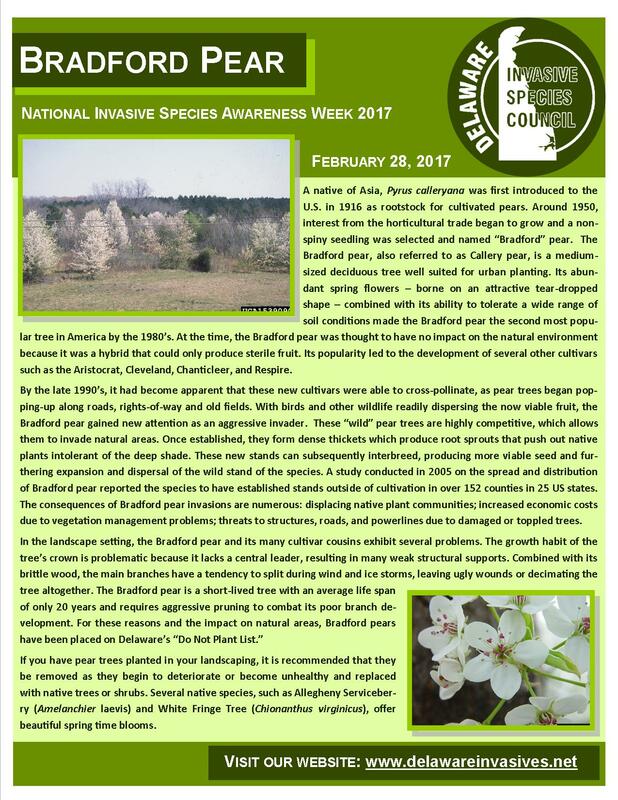 Many folks want to use native species, but often, it is difficult to find sources of native plants. 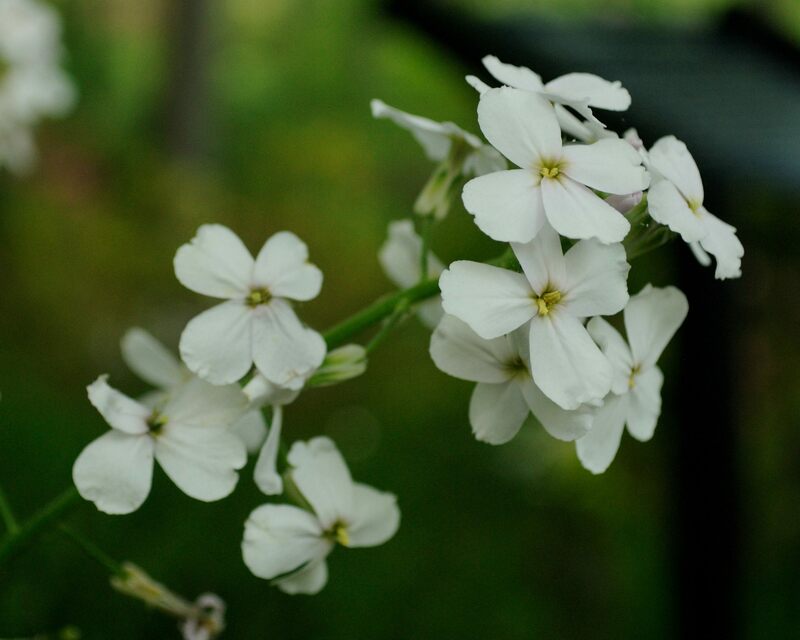 The spring usually offers a variety of plant sales, many of which include, or are exclusively, native. Winterthur Museum, Garden & Library’s Director of Garden & Estate put together a guide to some of the upcoming plant sales in the northern Delaware and southeastern PA region. 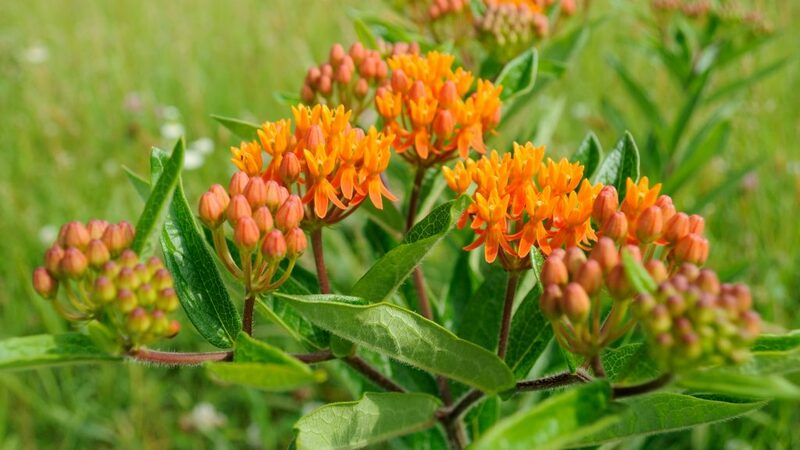 *Please note, not all of these sales will have exclusively native plants, so be sure to pick species that aren’t invasive! 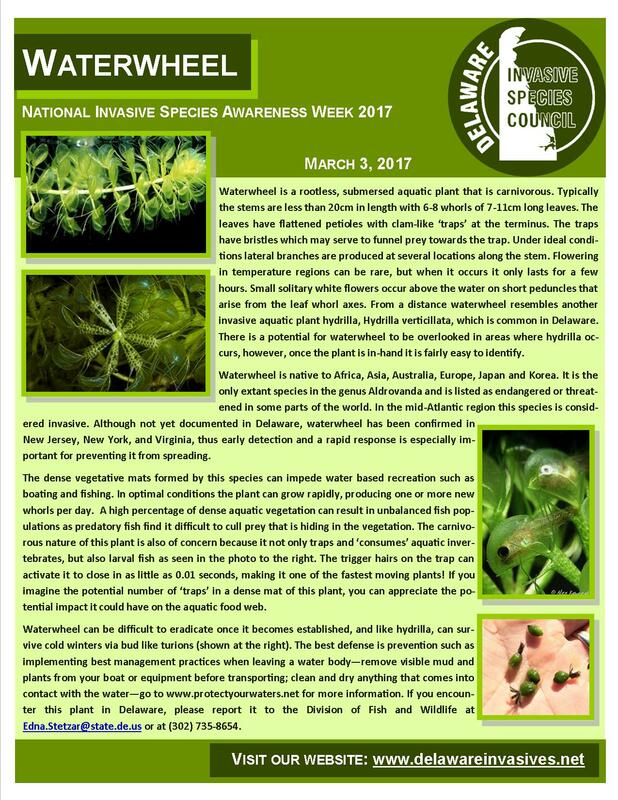 See DISC’s Invasive Plants page for some guidance to what is invasive in our area! There is still time to register for our next quarterly board meeting and lecture on April 6th! Mark your calendars! Our next quarterly board meeting will be held April 6, 2017 from 9am to 12pm. Prior to our general business meeting will be a talk by Dr. Sue Barton entitled Sustainable Landscape Management: Controlling Invasives and Reducing Pests. One pesticide credit (Category 03: Ornamental and Turf Pest Control) will be awarded to DE licensed pesticide applicators. This event is FREE for DISC members, but registration is required, as space is limited! Non-members are also welcome for a $10 fee (DISC membership is included). 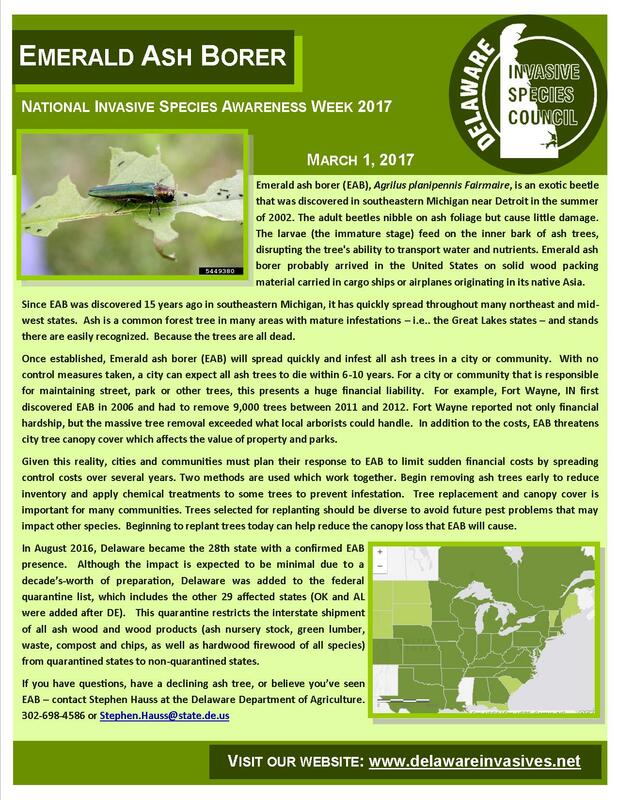 Next Quarterly Board Meeting and FREE Pesticide Credits for DISC Members! Today’s highlighted species is Waterwheel. Click the image below for a full .pdf version, and please spread the word! Waterwheel. Click the image for a full .pdf! 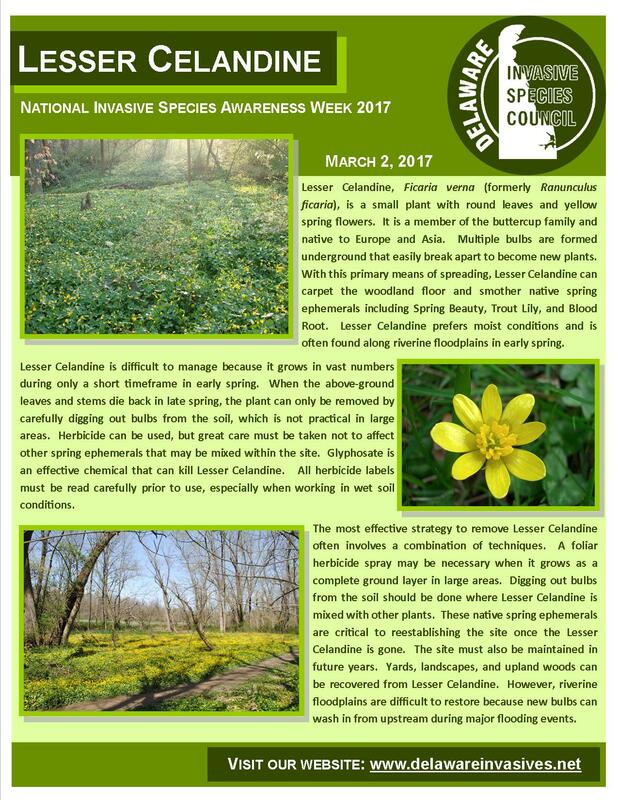 Today’s highlighted species is Lesser Celandine. Click the image below for a full .pdf version, and please spread the word! Lesser Celandine. Click image for full .pdf! 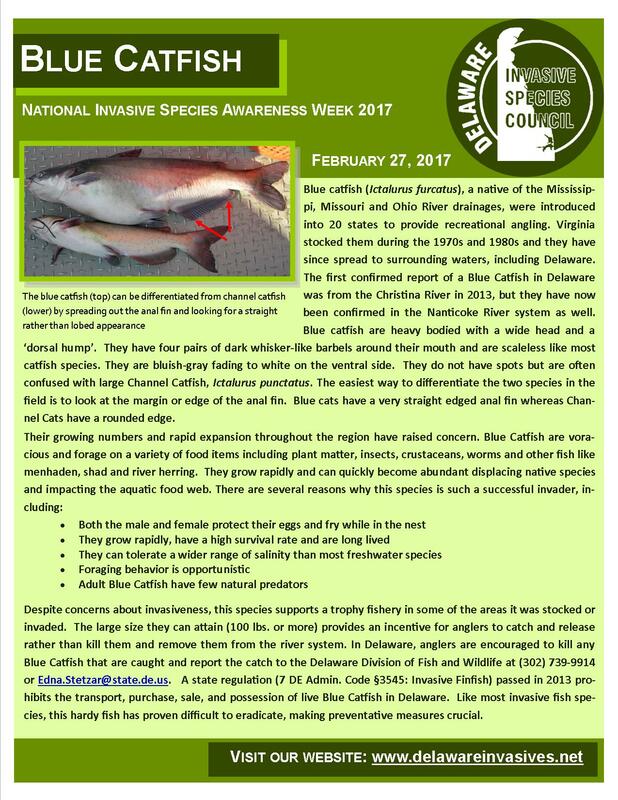 Today’s highlighted species is the Blue Catfish. Click the image below for a full .pdf version, and please spread the word! Blue Catfish. Click the image for a full .pdf!